Recommendations Needed- 13 yr old needs summer reads!!!! 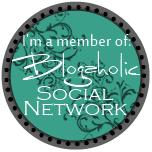 Hello to all fellow bloggers! I hope all is well and everyone is enjoying a wonderful book. The calendar-not the weather-is telling me we are very close to school being out for summer and I am in need of some book recommendations for my 13 year old daughter. She has enjoyed the Harry Potter series, The Hunger Games, and most recently The Selection and Divergent and their sequels. What can you suggest that you think she will enjoy? Great question! I have a 13 year old girl as well and I’d like to put together a reading list for her for the summer. Sounds like your daughter might enjoy some Sarah Dessen? So far, I have found the following- Shadow & Bone, Wake, and Second Chance Summer. Will let you know if I find anything else! Hmmmmm. What did I like when I was thirteen? Has she read any Diana Wynne Jones? I think I was about thirteen when I read DWJ for the first time, although I admit I did not immediately love her (she’s better on a reread). Robin McKinley (Beauty is the best, Sunshine should maybe wait a few years), Tamora Pierce, Megan Whalen Turner; there’s this author called Martine Leavitt whose books Keturah and Lord Death and The Dollmage are awfully good; and if she hasn’t read Ender’s Game yet, thirteen is an excellent age for it. Thanks so much for the recommendations! Have you read Shadow & Bone? If your 13-y-o is a reader, there’s the 1001 Children’s Books You Must Read Before You Grow Up. . .
Also, a great series is the City of Ember series to read! Thanks! Heading to the library today and will look for those. Thanks for the recoms- I am heading to the library today and will look for those!